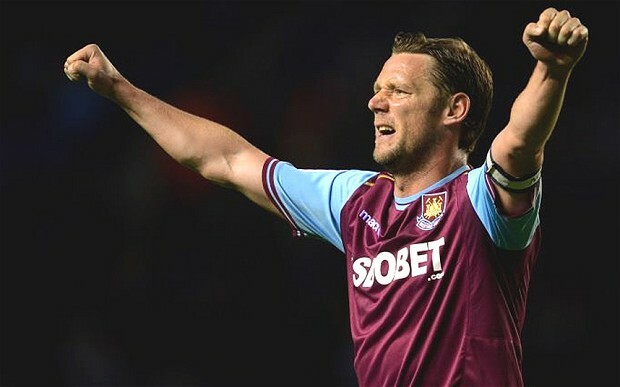 West Ham suffer a serious blow to their chances of remaining in a safe Premier League mid-table zone after skipper Kevin Nolan has picked up a serious injury during the Hummers’ 3-2 defeat to Tottenham. Nolan has already complained at light injury ahead of the crucial encounter against the Spurs, however West Ham boss Sam Allardyce decided to risk the player. As a result, Nolan has aggravated the injury and broken his toe. After the medical assessment it turned out Nolan could miss up to two months. Nolan has been an ever-present in the Hummers’ midfield this season, making 28 appearances and scoring 6 goals.